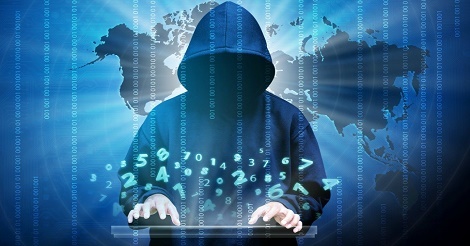 Months of preparation and coordination have resulted on Thursday in the takedown of two of the largest criminal Dark Web markets, AlphaBay and Hansa. Besides illegal drugs, fraudulent visas, gun trafficking and hacking, it was discovered that the suspects were seeking contributions to hire assassins to kill U.S. President Donald Trump and Vice President Mike Pence. While the law enforcement agencies involved in the takedown announced the various activities of the Dark Web including the Trump threat, most of the U.S. news media — except Newsweek — omitted reporting the Trump part of the story. The Justice Department announced the seizure of the largest criminal marketplace on the Internet, AlphaBay, which operated for over two years on the dark web and was used to sell deadly illegal drugs, stolen and fraudulent identification documents and access devices, counterfeit goods, malware and other computer hacking tools, firearms, and toxic chemicals throughout the world. “The international operation to seize AlphaBay’s infrastructure was led by the United States and involved cooperation and efforts by law enforcement authorities in Thailand, the Netherlands, Lithuania, Canada, the United Kingdom, and France, as well as the European law enforcement agency Europol,” noted Attorney General Jeff Sessions on Thursday. “This is an outstanding success by authorities in Europe and the US,” Rob Wainwright, the Executive Director of Europol, said today, while appearing alongside the US Attorney General, Acting FBI Director and Deputy Director of the US Drug Enforcement Administration (DEA), at a special press conference in Washington DC. “The capability of drug traffickers and other serious criminals around the world has taken a serious hit today after a highly sophisticated joint action in multiple countries. By acting together on a global basis the law enforcement community has sent a clear message that we have the means to identify criminality and strike back, even in areas of the Dark Web. There are more of these operations to come,” he added. AlphaBay was the largest criminal marketplace on the Dark Web, utilizing a hidden service on the Tor network to effectively mask user identities and server locations. Prior to its takedown, AlphaBay reached over 200 000 users and 40 000 vendors. There were over 250 000 listings for illegal drugs and toxic chemicals on AlphaBay, and over 100 000 listings for stolen and fraudulent identification documents and access devices, counterfeit goods, malware and other computer hacking tools, firearms, and fraudulent services. A conservative estimation of USD 1 billion was transacted in the market since its creation in 2014. Transactions were paid in Bitcoin and other cryptocurrencies. Hansa was the third largest criminal marketplace on the Dark Web, trading similarly high volumes in illicit drugs and other commodities. The two markets were created to facilitate the expansion of a major underground criminal economy, which affected the lives of thousands of people around the world and was expressly designed to frustrate the ability of law enforcement to bring offenders to justice. Europol has been supporting the investigation of criminal marketplaces on the Dark Web for a number of years. With the help of Bitdefender, an internet security company advising Europol’s European Cybercrime Centre (EC3), Europol provided Dutch authorities with an investigation lead into Hansa in 2016. Subsequent inquiries located the Hansa market infrastructure in the Netherlands, with follow-up investigations by the Dutch police leading to the arrest of its two administrators in Germany and the seizure of servers in the Netherlands, Germany and Lithuania. Europol and partner agencies in those countries supported the Dutch National Police to take over the Hansa marketplace on June 20, 2017 under Dutch judicial authorization, facilitating the covert monitoring of criminal activities on the platform until it was shut down today, 20 July 2017. In the past few weeks, the Dutch Police collected valuable information on high value targets and delivery addresses for a large number of orders. Some 10 000 foreign addresses of Hansa market buyers were passed on to Europol. In shutting down two of the three largest criminal marketplaces on the Dark Web, a major element of the infrastructure of the underground criminal economy has been taken offline. It has severely disrupted criminal enterprises around the world, has led to the arrest of key figures involved in online criminal activity, and yielded huge amounts of intelligence that will lead to further investigations. But what made this operation really special was the strategy developed by the FBI, DEA, the Dutch Police and Europol to magnify the disruptive impact of the joint action to take out AlphaBay and Hansa. This involved taking covert control of Hansa under Dutch judicial authority a month ago, which allowed Dutch police to monitor the activity of users without their knowledge, and then shutting down AlphaBay during the same period. It meant the Dutch police could identify and disrupt the regular criminal activity on Hansa but then also sweep up all those new users displaced from AlphaBay who were looking for a new trading platform. In fact they flocked to Hansa in their droves, with an eight-fold increase in the number of new members of Hansa recorded immediately following the shutdown of AlphaBay. As a law enforcement strategy, leveraging the combined operational and technical strengths of multiple agencies in the US and Europe, it has been an extraordinary success and a stark illustration of the collective power the global law enforcement community can bring to disrupt major criminal activity.